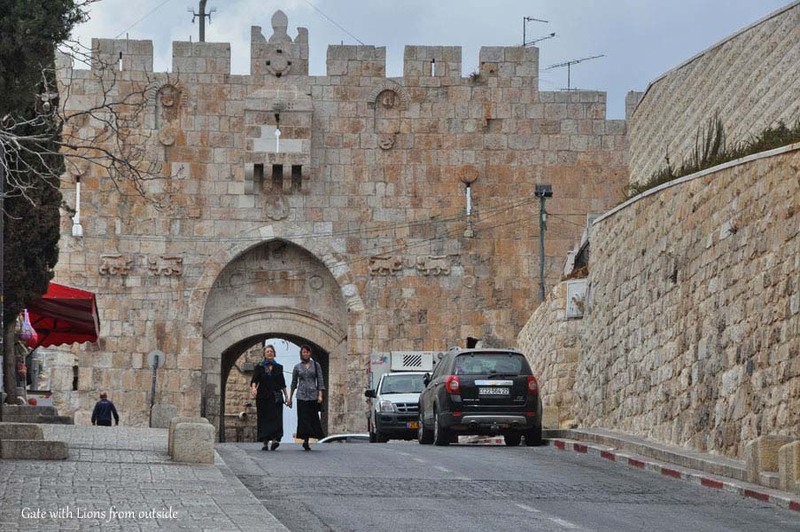 St. Stephen’s Gate, now known as the Lions Gate, is the only gate in the eastern wall of the Old City of Jerusalem, and facing Mt of Olives and Gethsemane. Its current name comes from the two pairs of lions engraved in stone, which decorate the gate from both sides. These lions have been there from the time that the city wall was restored by Suleiman the Magnificent from 1538-1542. In Arabic, the gate is known by a few names, two of them are most popular – Bab el Asbat (Gate of the Tribes) and Bab Sitna Mariam (Gate of Our Lady Mary). 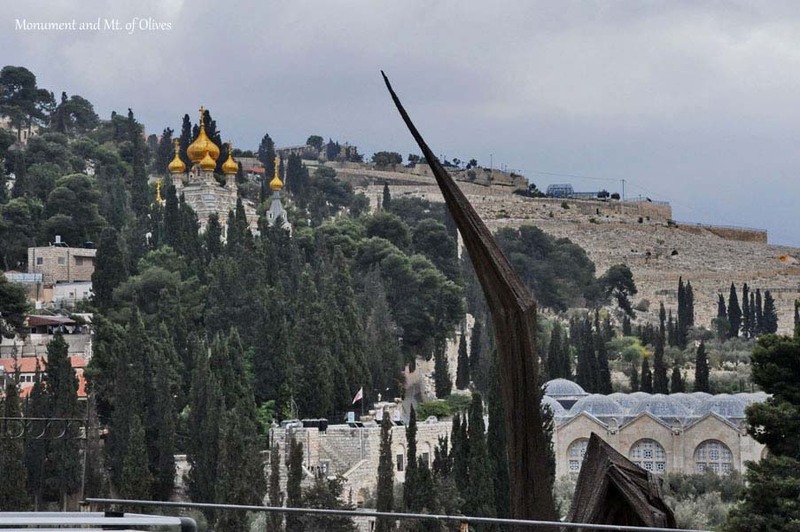 The former stems from the distortion of the name given to it by the Crusaders – Josaphat Gate, and the latter comes from the fact that it is close to the Virgin Mary’s Tomb at the foot of Mt of Olives. 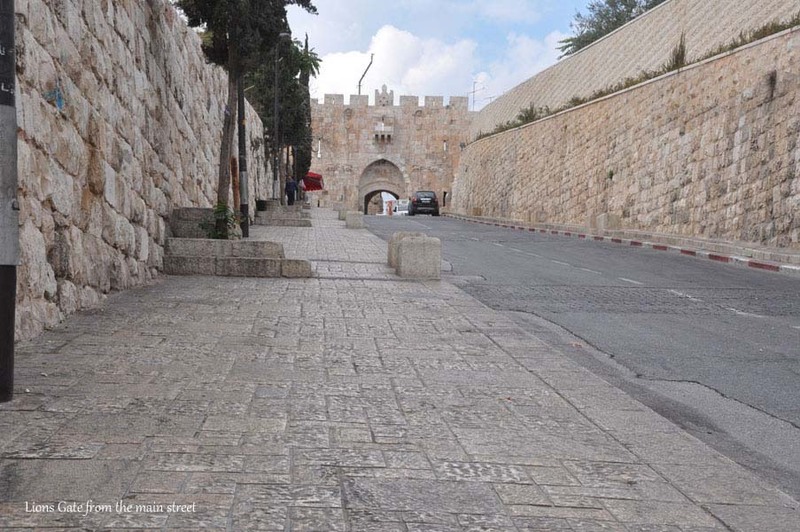 In the Christian tradition, it is called St. Stephen’s Gate because it is thought that the stoning of St. Stephen (Acts 7) occurred in the valley outside of this gate. 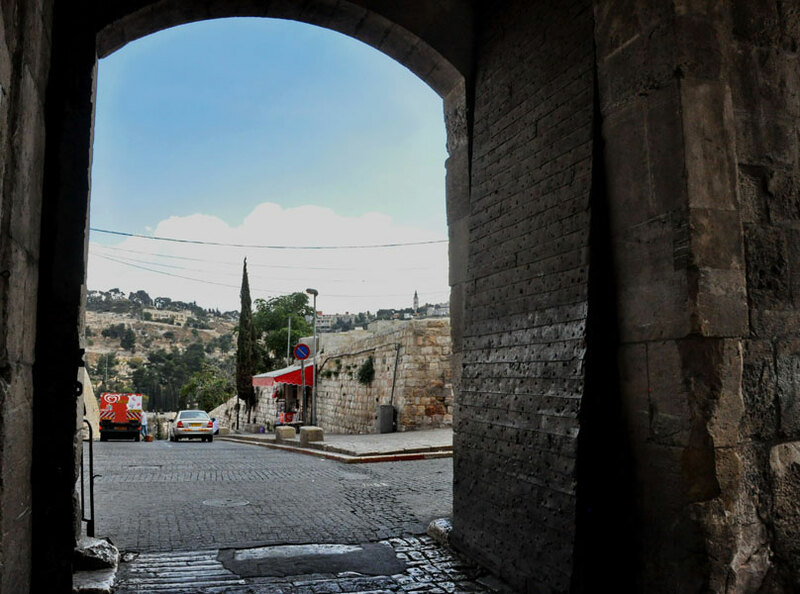 The area of the valley in front of the gate is also known in the modern history of Israel as the place where a fierce battle was fought during the Six Day War of 1967, before the paratroopers broke into the city through this gate after coming down from the Mt of Olives. A monument for the fallen soldiers stands in the valley.